Happy Wednesday everyone! 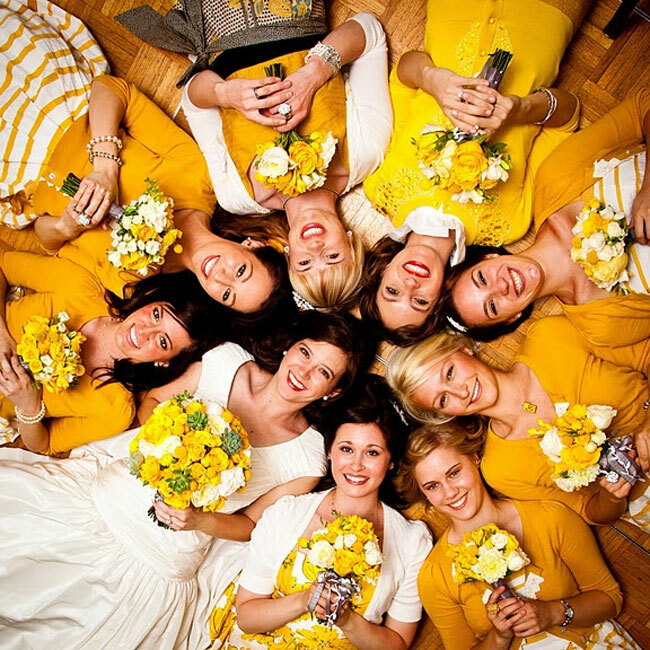 I have so much goodness to share with you all today, from pretty bouquet to pretty yellow wedding cake and What your bridesmaid will wear! 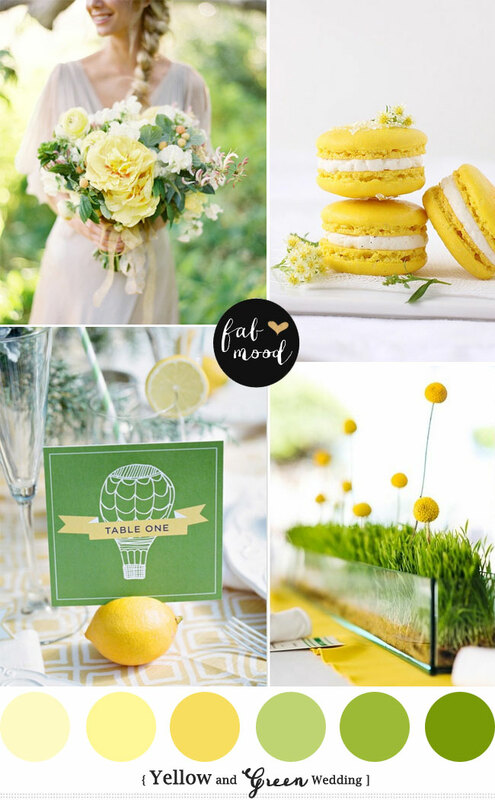 I was so inspired by the Pantone Spring Palette in my previous post so i decided to craft an inspiration Yellow Green Wedding Colors for Spring Weddings. 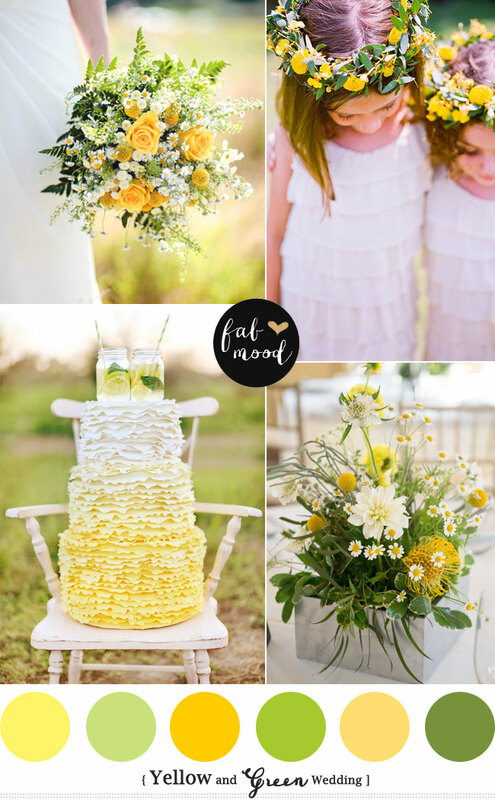 I’m loving those yellow and green floral crowns for flower girls,paired with more modern touches like an ombre ruffle wedding cake to set the scene. 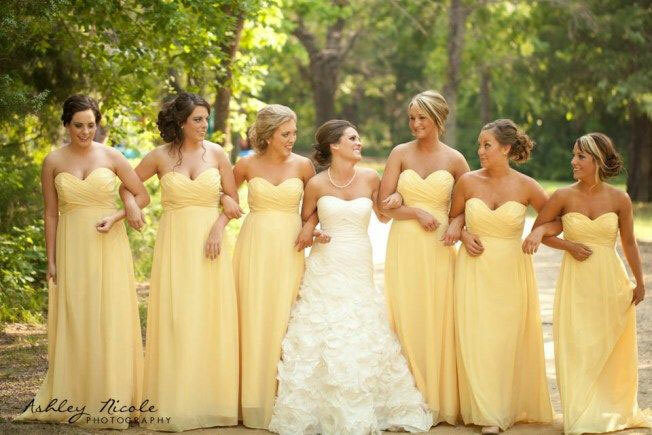 What do you think of these mustard yellow bridesmaid dresses, I like that the dresses are different but the colors are the same shades of yellow. 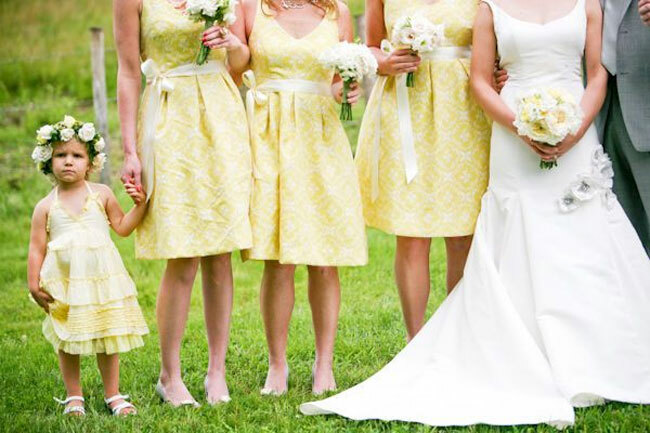 If those girls had to choose the dress that chances are they can wear it again. 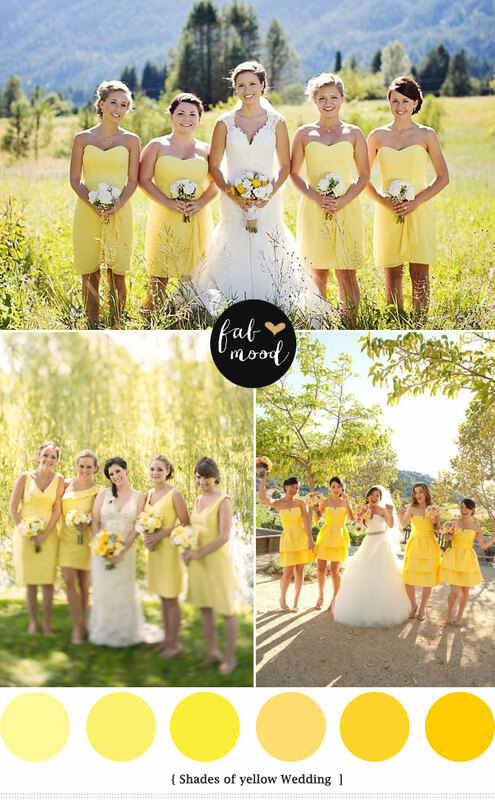 I think it’s practical 🙂 Does this Yellow green wedding colors like your idea? Then i think you’ll like these posts. 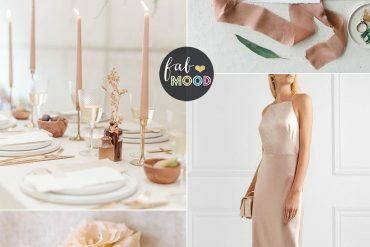 Beautiful bright and sunny in this post. Beautiful features! 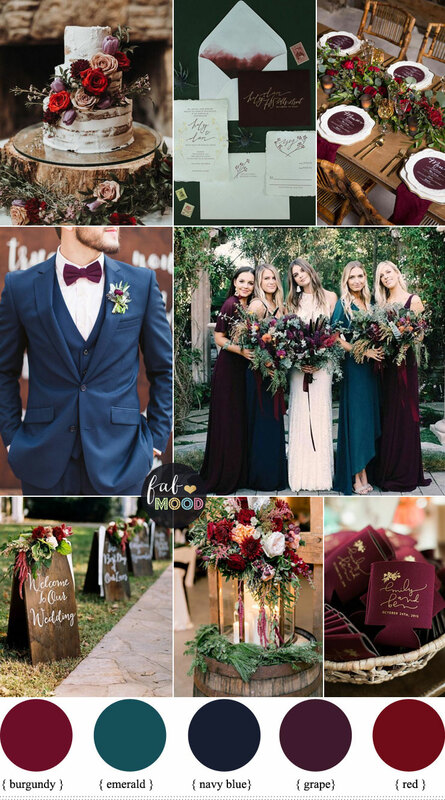 Love this gorgeous collection of wedding inspiration. 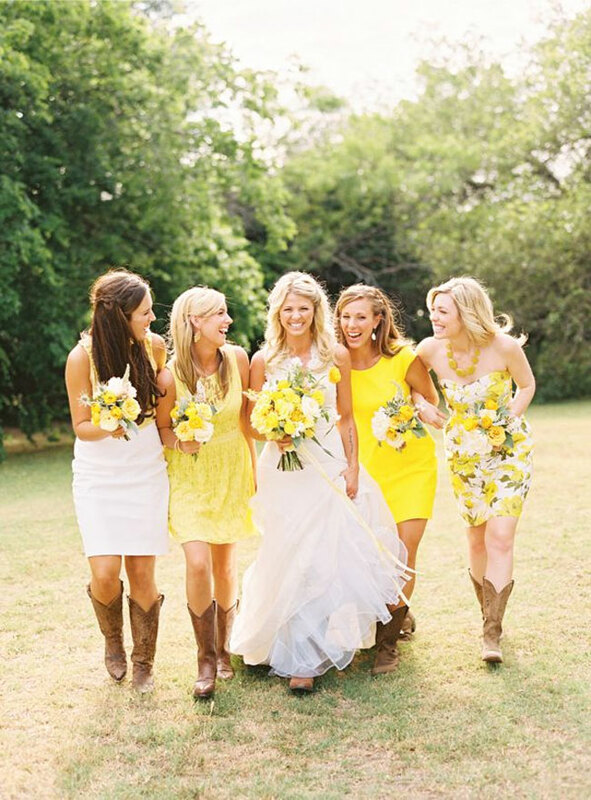 This yellow-green color scheme seems totally perfect for the spring wedding. Fabulous! Such bright color! 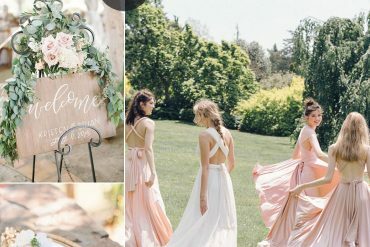 nice idea for spring weddings. 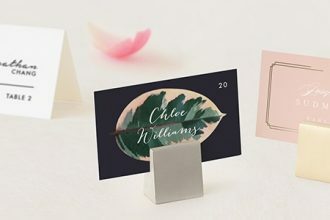 The most lovely combination for Spring! 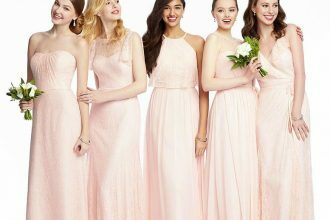 Love that colour for bridesmaid’s dresses!